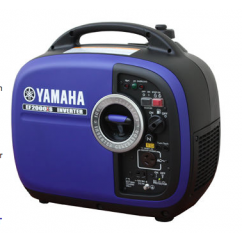 Energy Industrial stocks a wide range of Portable Petrol Generators built tough for Aussie conditions and all power conditions. 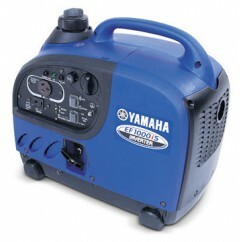 We stock high quality and resilient generators with brands such as Yamaha and Dunlite. 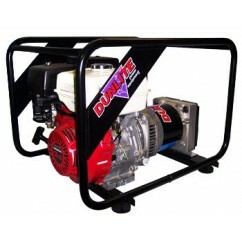 These Portable Petrol Generators are for sale in Darwin but can also be shipped nationwide. 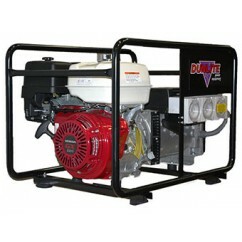 The latest addition to the Dunlite range, this generator is safe, versatile and portable. Using Inverter technology, it's safe enough to run all your sensitive electronic equipment. 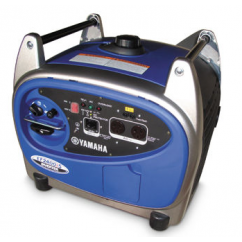 New 2 kVA Yamaha petrol powered inverter generator is smaller, lighter, quieter and outperforms the competition! 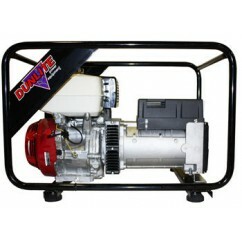 2.4 kVA petrol powered inverter generator. The EF2400iS is light (32 kg) and super quiet (54 dBA) whilst producing a massive 2400 Watts of maximum power. 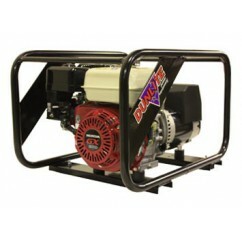 2.8 kVA petrol powered inverter generator. The EF2800i is the lightest (29 kg) and quietest (60 dBA) generator in its class. It can power anything from power tools to sophisticated electronics. 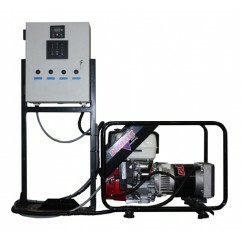 3 kVA petrol powered inverter generator. The EF3000iSE boasts performance enhancing features such as Inverter Technology, Smart Throttle, Noise Block (51 dBA) and will run continuously for up to 20.5 hours without refuelling (at 1/4 load with Eco On). 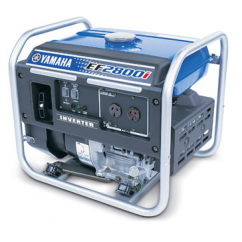 6.3 kVA petrol powered inverter generator - the most powerful and advanced Yamaha inverter generator ever! The EF6300iSE quietly (58 dBA) cranks out up to 6300 Watts of pure sine wave inverter power to confidently run high demand items like pumps and RV air-conditioners, as well as sensitive equipment like plasma TVs and computers. It comes with an optional wireless remote. 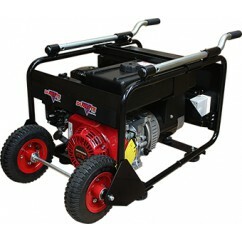 3.3 kVA / 2700 Watt, Honda Powered Portable Generator. 4.4 kVA / 3500 Watt, Honda powered generator. 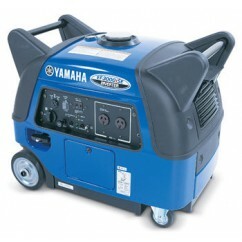 5.8 kVA / 4800 Watt, Honda Powered Portable Generator. 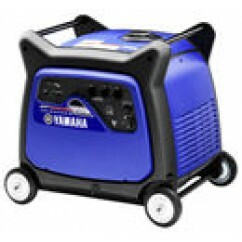 7 kVA / 5600 Watt, Honda Powered Portable Generator. 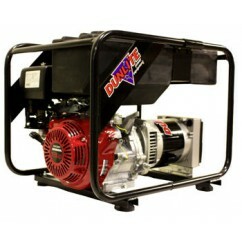 8 kVA / 6500 Watt, Honda Powered Portable Generator. 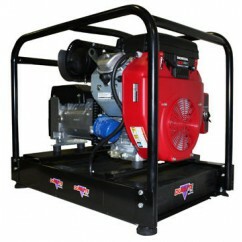 8kVA - Honda Powered generator featuring RCD Work Safe Approved Earth Leakage Outlets, Sturdy Frame. 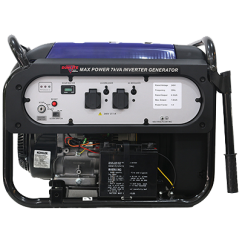 8 kVA / 6500 Watt, Honda powered generator with electric start and mains failure controller with automatic transfer switch [ATS]. 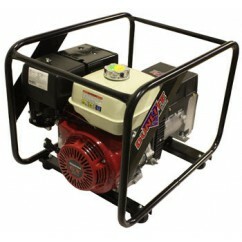 9.5 kVA / 7500 Watt, Honda powered generator with 25-litre long range fuel tank and electric start. 11 kVA / 8000 Watt, Honda powered generator with 27-litre long range fuel tank and electric start. 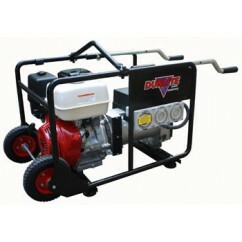 11 kVA / 9600 Watt, 3-phase Honda powered generator with 27-litre long range fuel tank and electric start. 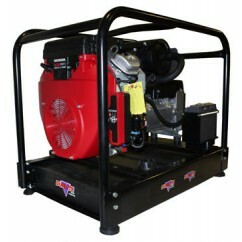 TRADIES PACK 3.3 kVA - Honda Powered generator featuring 8.5L fuel tank, RCD Work Safe Approved Outlets, Centre Point Lift, Sturdy Frame, Raised Wheel Kit, Extendable Handles and Levelling feet. 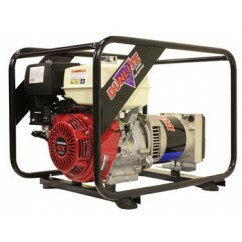 TRADIES PACK 8 kVA - Honda Powered generator featuring RCD Work Safe Approved Outlets, Centre Point Lift, Sturdy Frame, Raised Wheel Kit, Extendable Handles and Levelling feet. 7 kVA / 5600 Watt, Honda powered generator with long range fuel tank.